PRE-CONSTRUCTION: to be built. 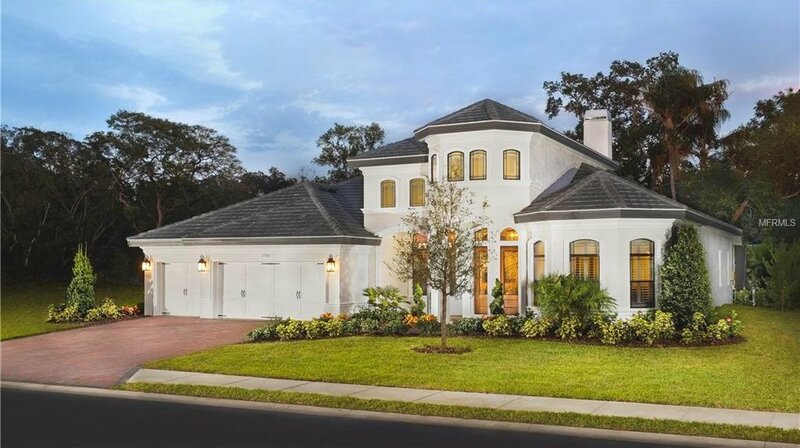 Last opportunity to build in beautiful gated Majestic Oaks! Great Safety Harbor area location with quick and easy access to McMullen Booth, Downtown Safety Harbor, the Bayshore Bridge, Ruth Eckerd Hall, Clearwater Beach , the International Airport, Countryside Mall & so much more! You will love coming home to an entrance with a bridge that overlooks the soaring fountain, stone columns, beautiful iron works and lush landscape. Our popular Willow plan features include over $50,000 in upgrades , a fenced in pool, upgraded maple cabinetry, stainless steel appliance package, and much more! Energy efficient features such as Low E insulated windows & doors & more. The plan features a formal foyer and banquet sized dining room, a delightful great room concept with gorgeous views to the pool and lanai area. The kitchen has a huge center island & large informal eating space with triple mitered glass window. This home has lots of natural light with an abundance of windows & glass that brings the outdoors in! Large master bedroom closets,, a great bonus room that can also serve as an in-law suite, Pictures are of our model & some upgrades shown are not included, There is still time foe you to select your own colors and options to personalize this home to suit your lifestyle. Don't miss the opportunity to call Majestic Oaks home ! " Property not in a Flood Zone "
Listing courtesy of DEEB FAMILY HOMES INC. Selling Office: RE/MAX REALTEC GROUP INC.